The Home of Woolavington Parish Council! Hi, I am Angi Lewis, your local Community Enabler with Homes in Sedgemoor (HiS). My job is to support you and your neighbours in running events, organising activities and applying for funding for community schemes. There are four Community Enablers working across Sedgemoor and my colleagues, Sarah Mees, Lisa Pople, Laura Freeman and myself are keen to help with your ideas and projects. The team was set up just before Christmas and we’ve already been involved with a number of projects. We can offer practical support in setting up your own group or in putting you in touch with one that is already going in your area. You may fancy taking up crafting, setting up a choir or want to find funding for a community orchard. Whatever you idea or project, I and my colleagues would be delighted to help you. You can keep in touch with what we’re doing by following HiS on Facebook at /HomesinSedgemoor on Twitter @HomesSedgemoor. If you’d like more information about how we can help, you can emailcommunity.engagement@homesinsedgemoor.org or telephone 0800 585 360 / 01278 552400. 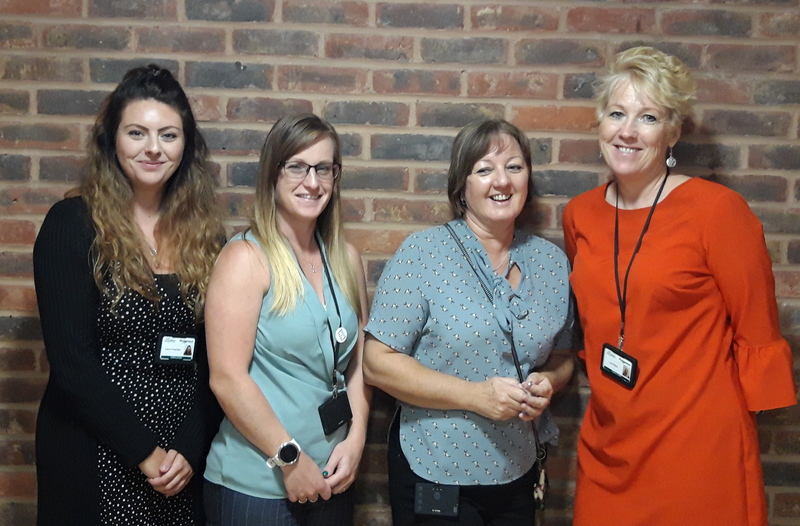 Homes in Sedgemoor Community Enablers (left to right) Laura Freeman, Sarah Mees, Angi Lewis and Lisa Pople.